Now that I’ve presented the basic chronology of my #MeetSouthAfrica trip, I’m going to skip around a bit. I can’t wait another day to talk about my 24-hour visit Cape Town, which was sandwiched between longer stints in the Northern Cape and Durban. Anyone who has been to Cape Town knows that 24 hours there is nowhere near enough. But we managed to squeeze in a few interesting activities, most of which weren’t the “normal” things tourists do when they go to Cape Town. We arrived by bus late on a Wednesday afternoon. 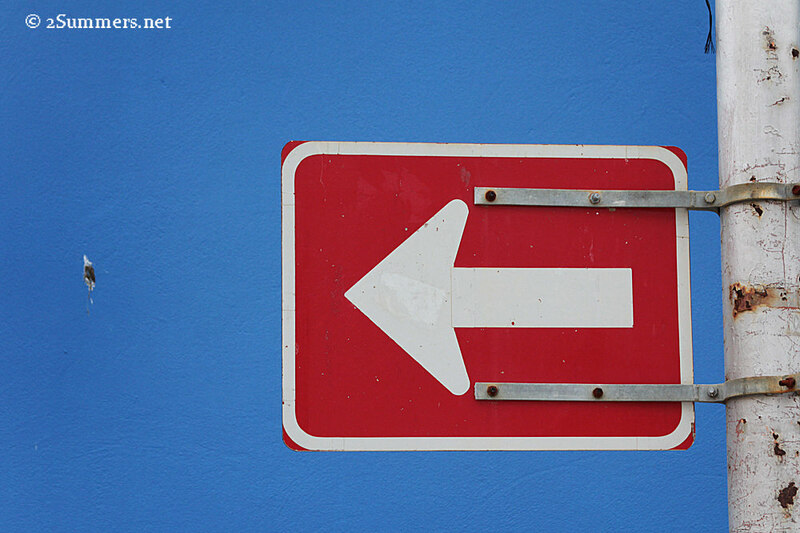 After a quick snack on Bloubergstrand Beach, we headed into town and checked into our rooms at the Backpack. I didn’t get good photos of the Backpack, mainly because we were there so briefly. I highly recommend it though. It’s the oldest backpackers in South Africa and right in the centre of town, with an up-close view of Table Mountain. My room was great (there are dorm-style backpacker rooms but I had an en-suite double) and so was the service. Wifi is free in the vibey breakfast/bar area. After 30 minutes of settling into the Backpack it was time for dinner. We were booked for a meal with acclaimed chef Matt Manning, creator of a “unique dining experience” called One Ingredient. One Ingredient is like Masterchef for dummies. 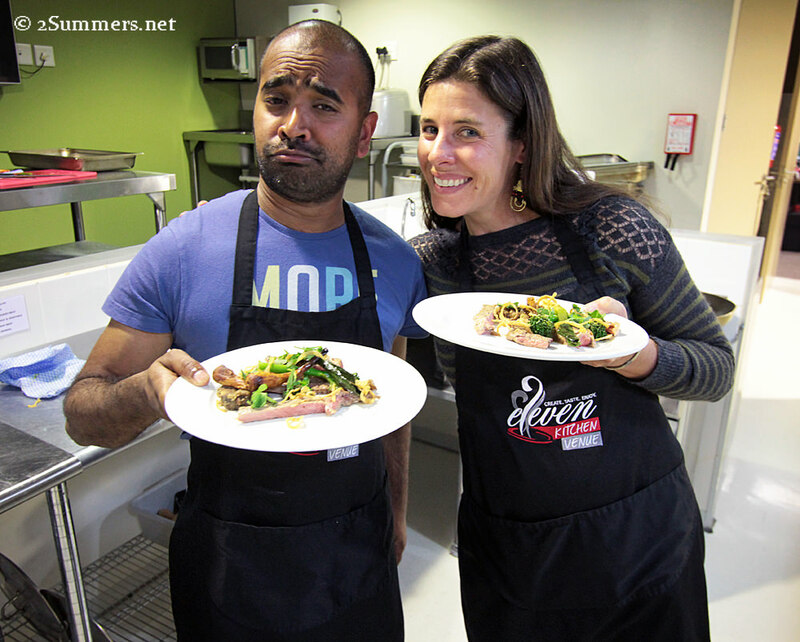 Chef Matt books a group of people for dinner and plans a menu inspired by one ingredient. (In this case the ingredient was chili.) Matt demonstrates to the group how to cook the food, and the group divides into pairs and gets cooking. Then they eat what they’ve prepared and drink lots of wine. I can’t lie — I was deliriously tired and not in the mood for a dining experience. I wanted to stay in my room and order pizza. But I dragged myself out, mainly because I didn’t have a choice. And guess what? I had a blast. I can’t remember exactly what we cooked. There was ceviche involved, and some kind of beef. I know there was chocolate at the end. Other than than I’m not sure. What I am sure of is that we all ate and laughed a lot. I would totally do this again. The next morning dawned cloudy and cold. But we dutifully piled out of the Backpack, into our bus, and up to the top of Signal Hill for a morning Instawalk and guided tour of the Bo-Kaap. It was freezing cold on Signal Hill and the view was obscured by clouds. A few die-hard Instagrammers were there to meet us, ready to walk. 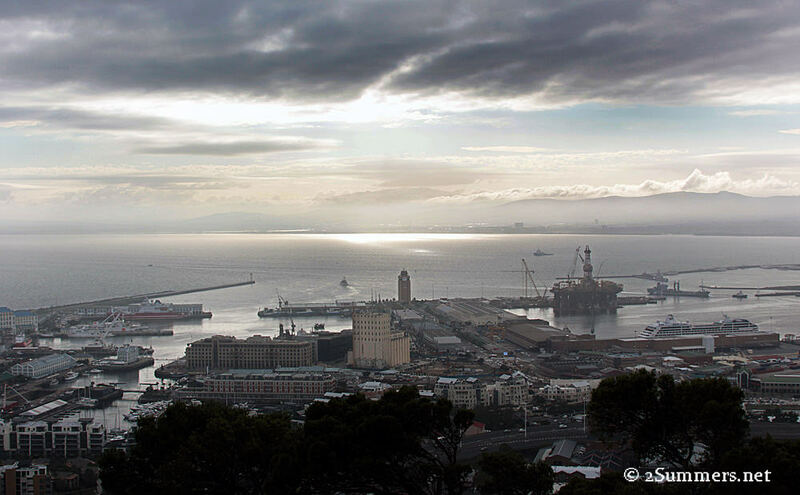 Cloudy view of the Cape Town waterfront from Signal Hill. Obligatory Signal Hill photos taken, we trooped down the hill into the Bo-Kaap. 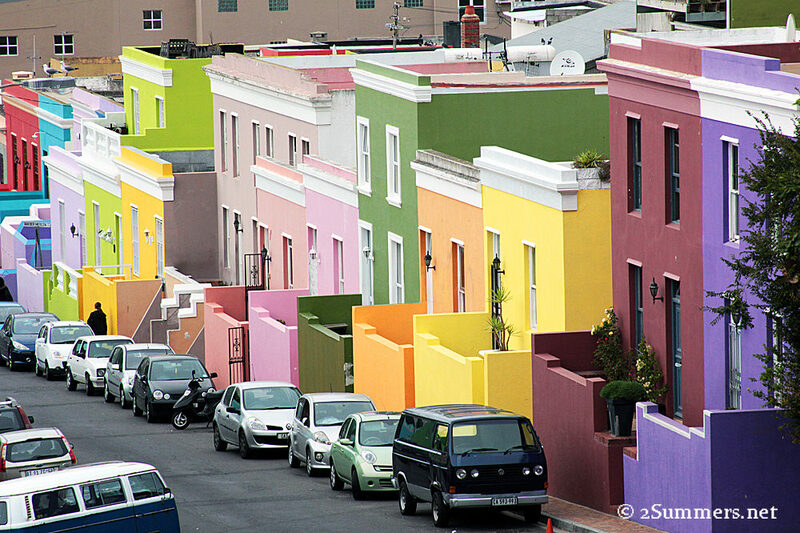 The Bo-Kaap is Cape Town’s “Cape Malay Quarter”, traditionally occupied by Muslim South Africans of Asian and mixed-race descent. 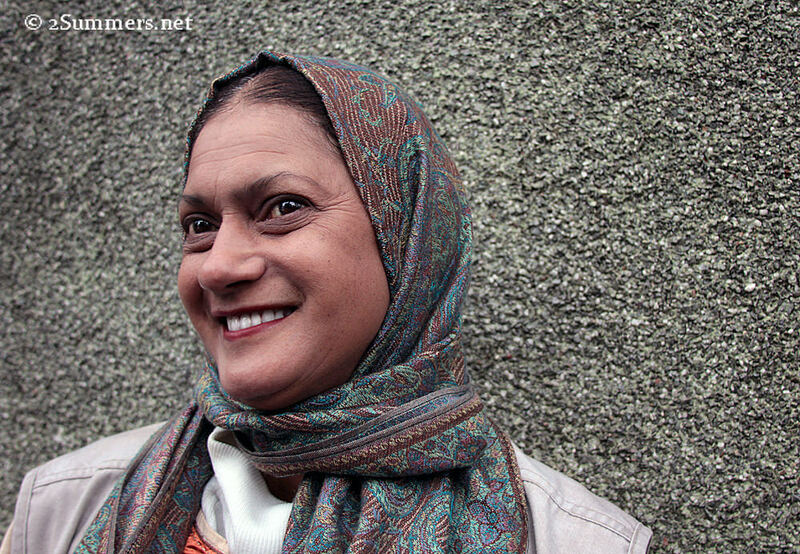 I stayed in the Bo-Kaap a few years ago but didn’t have time to properly explore it, so I was incredibly excited to go back this time and take a tour with Shireen Nackerdian, a professional guide and expert on the Bo-Kaap. Looking down a Bo-Kaap street, my camera-weilding partners in crime in the distance. 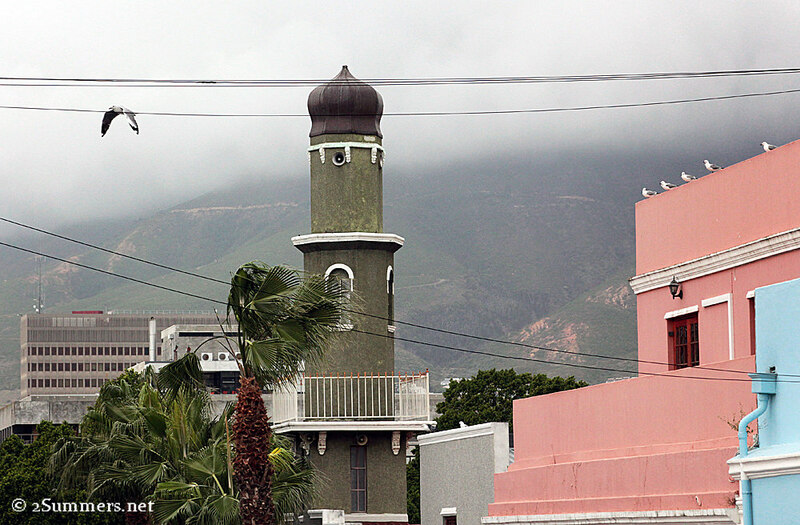 Auwal Masjid (minaret pictured above) is the oldest mosque in the Southern Hemisphere. That’s Table Mountain in the background, shrouded in clouds. 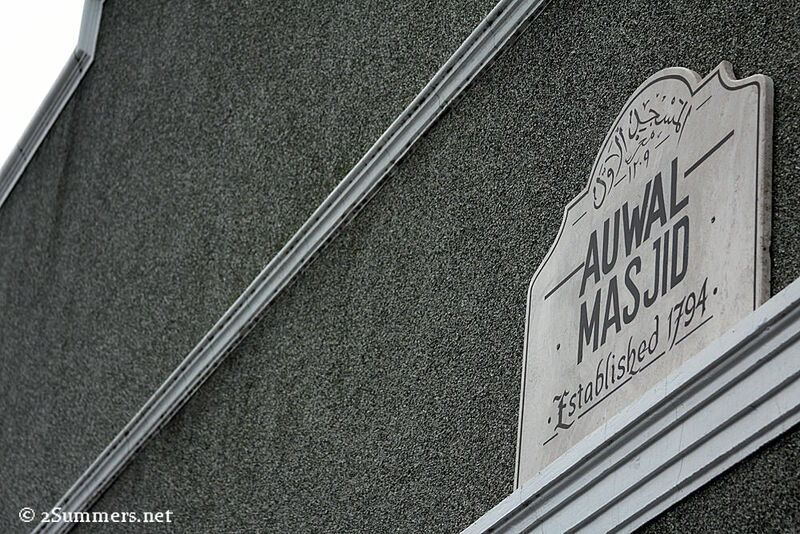 We were very lucky to visit this historic mosque. At first I felt weird taking pictures inside the mosque while people were praying. But everyone was welcoming and encouraged us to take photos. 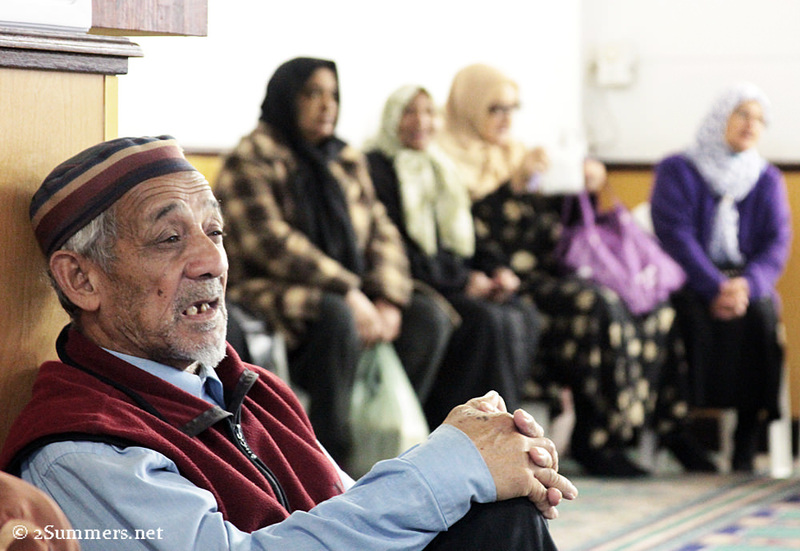 In the middle of our tour we stopped for a snack at Bismillah, a legendary Cape Malay restaurant in the Bo-Kaap. 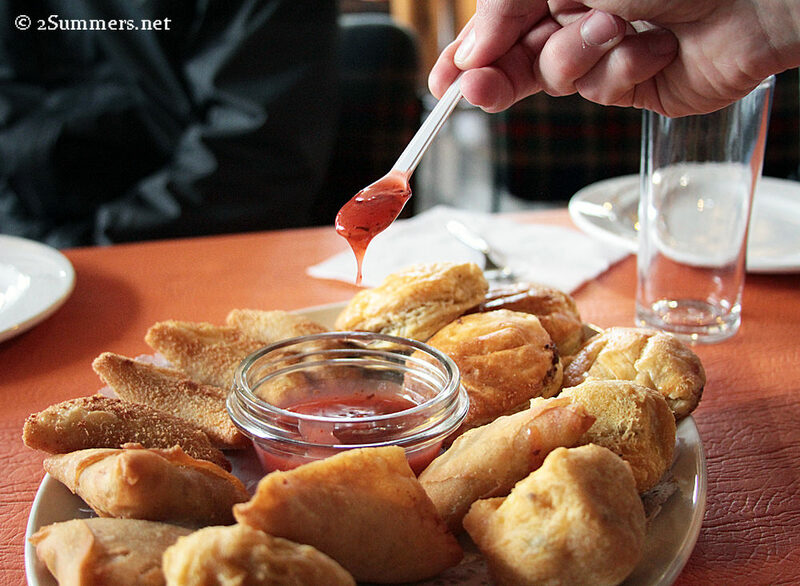 Cape Malay food is a fusion of Asian, Afrikaans, and African spices and flavors. I was thrilled to go to Bismillah as I’ve been hearing about it for years. We gorged ourselves on samoosas, chili bites, koesisters and coffee. When we came out of Bismillah, the clouds suddenly cleared. And there was the mountain in all its stupendousness. The photographers scrambled uphill for a view. 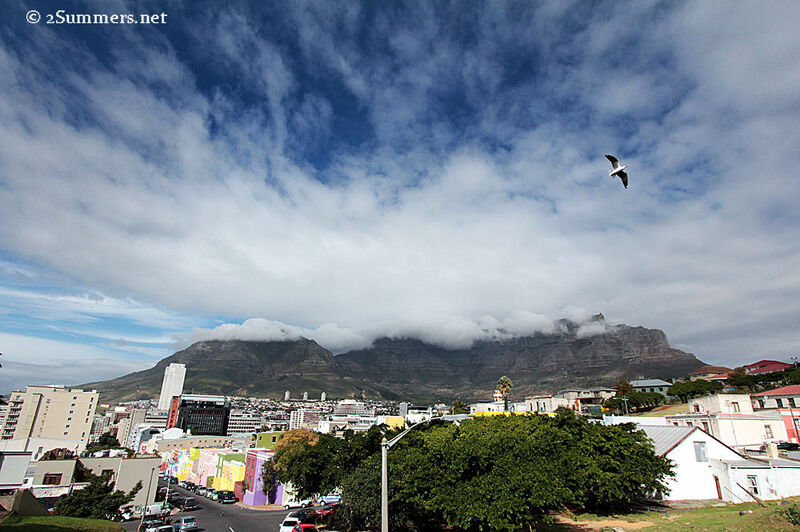 Capetonians have a reputation for being smug about the beauty of their city. Okay fine. They’re right. Cape Malay food devoured: Check. Dazzling view of Table Mountain recorded: Check. 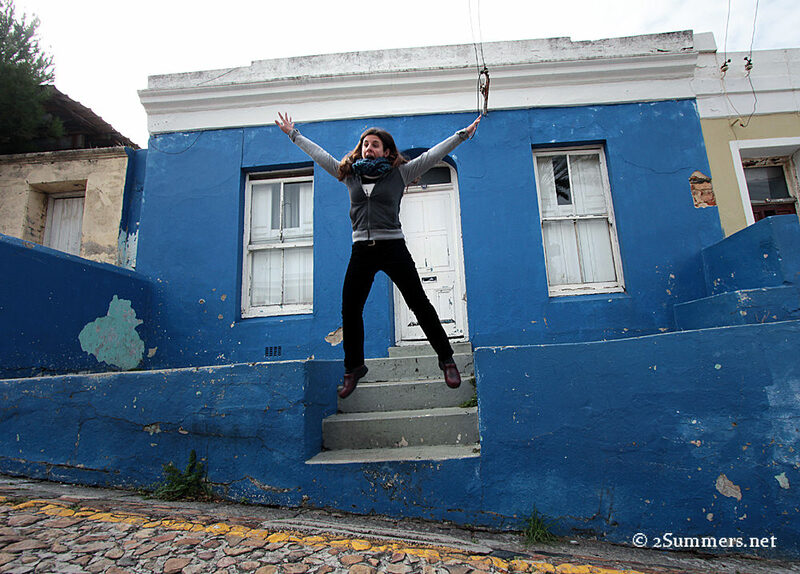 We resumed our amble around the Bo-Kaap, stopping every ten meters to act silly. 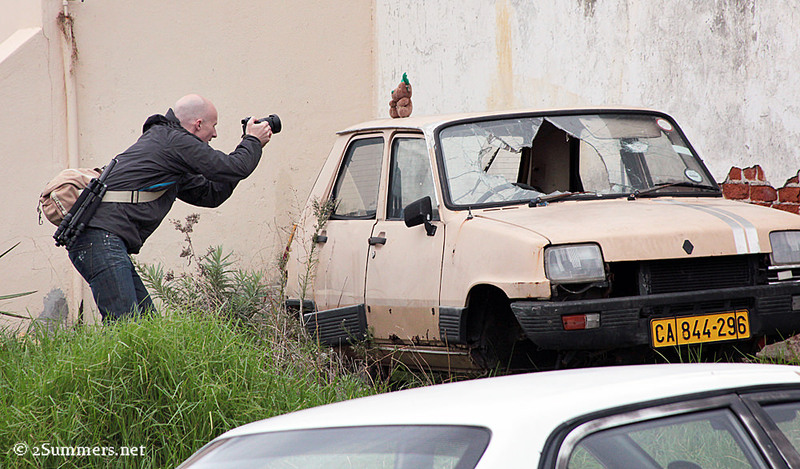 Everything is beautiful in the Bo-Kaap — even street signs and bird poop. 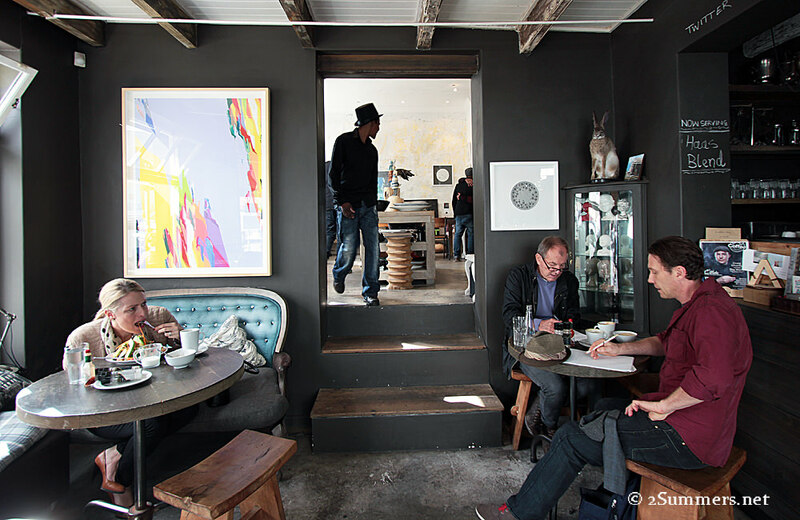 We stopped for a late lunch at Haas Collective, an uber-trendy restaurant/coffeeshop on the edge of the Bo-Kaap. I wasn’t hungry at all after our “snack” at Bismillah, but forced myself to enjoy a tasty roasted veggie baguette and fresh pomegranate juice. 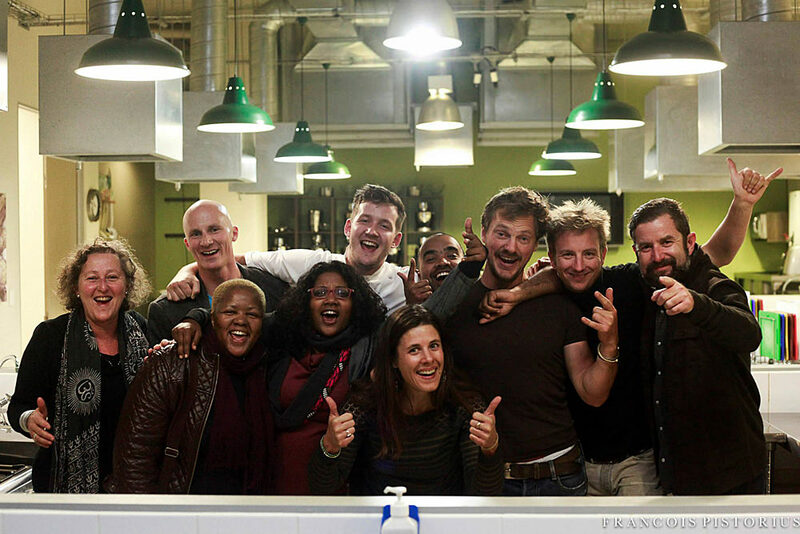 Sigh…life as a #MeetSouthAfrica blogger is hard. Haas Collective, where the waiters are hip and wear top hats. Thus ends my 24 hours in Cape Town. I’ll surely be back soon for a longer stay. You should write a 36 hours in Capetown style article for the New York Times! This part of the trip sounded so fun. Such beautiful pictures. 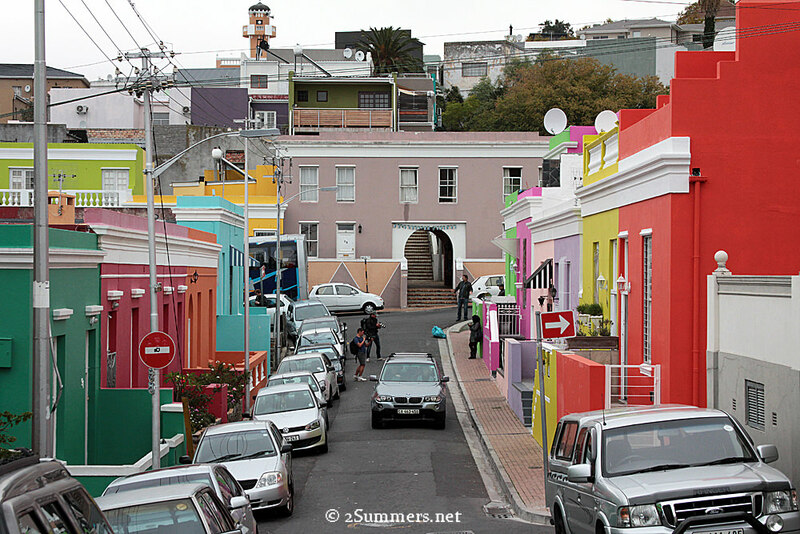 I really loved the colors at The Bo-Kaap. Seems like a beautiful trip. I saw that you have visited some of the big cities in RSA. Would you try to visit some small but interesting cities like Umtata in Eastern Cape, Nelspruit in Mpumalanga, Polokwane in Limpopo. So your audience would have broad understanding of Mzanzi. I like your blog. I’m saying this because I am South African and some people don’t know much about South Africa and they think it’s like a small country. I just don’t get to small towns very often, for some reason. Dankie for those links and I just skim read both articles but I’ll take time to read them. I hope some day you ‘ll visit those places. I was actually saying during the tour that I would love to spend an entire week exploring just that one area. I’ve never seen so many fantastic smiles in one place! There’s no way to look at your photos and not smile back.